Greetings to you. My name is Alia Lorae. I am an artist of many facets - a producer and performer of dark, electronic dance music, as well as a songwriter and classically trained singer. 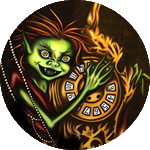 In addition, I am an illustrator of dark fantasy art, whimsical weirdlings, and other visual morbidities. At the moment, I am involved in several exciting projects. 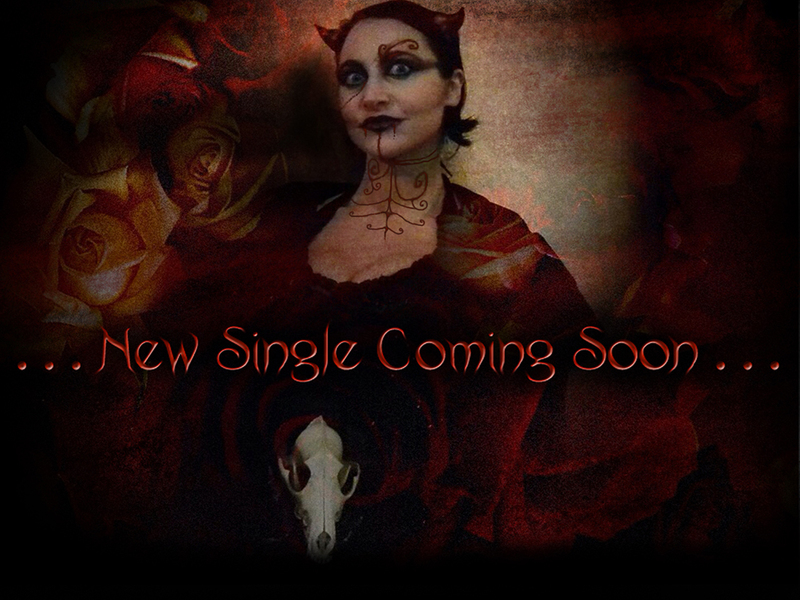 My new solo album is complete, and soon I will be releasing the first single off that album. My shop is open, where you can purchase clothing featuring my original art. I am starring in an indie feature written and directed by Sujewa Ekanayake, in which I play an alien. I am getting into DJing, and can be seen tag-teaming and singing opera at events alongside friend and musical collaborator Kyo "Danzer" Uchida, as featured in the video here. Please follow me on Facebook for insights into my life and upcoming events, and on Instagram for modeling photos! Clothing, cards, prints, and accessories, all featuring my original artwork. Everything is custom designed to your liking. 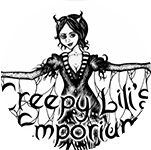 Get your Wearable Weirdlings at Creepy Lili's Emporium! I am always up to something. Click here for news of my most current project, or to learn more about a particular event I'm part of! Need a darkly whimsical (or just plain dark) illustration? How about a video edited, or a musical score produced? 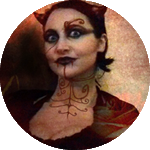 Or, would you like to see yourself drawn as a fantastical creature? I'm your gal. For your amusement, a mystery link! Every week I change it up. It will always lead to something morbid and fascinating; some piece of art or information I am personally intrigued by. ...follow me on all my various forms of social media, for I am an interesting specimen!